Home » DRG Digital Innovation Blog » After the ACA, what becomes of digital and the shift to value? What might our system of healthcare provision look like under unified Republican control? What will become of the burgeoning digital health industry and the shift towards rewarding value and qualitative improvement envisioned by the Affordable Care Act and other Obama-era healthcare legislation? What we love about the past four years is that, as an innovator in the space, we are able to compete on equal footing with incumbent insurers and entrenched interests. That is the power of a consumer-led, market-based model. As a result, there has been more innovation in the market in the last few years than in decades before - and not just from us. It's a reminder that the ACA was actually designed as a market-oriented alternative to more centralized and government-administrated models – one emphasizing competition and consumer choice as a means of lowering costs to the consumer and the taxpayer. The politics of the past seven years make it near-impossible that the GOP can leave the law in place, but the principles are likely to persevere, even if elements of its structure like age-banding and essential health benefits go away. Indeed, the scaffolding of most of the ACA replacement plans on offer bear more than a passing resemblance to the ACA. Kushner and Schlosser endorse several specific Republican fixes, including maintaining the ban on denying coverage based on preexisting conditions as long as there are no gaps in coverage. They’re also understandably gung-ho for provisions that would bring tax benefits of buying insurance on the individual marketplace in line with employer-based insurance. But their fundamental message to investors is: We’ll be fine, whatever comes. The battle to improve American healthcare was never intended to be a speedy endeavor, and will remain critical despite policy changes. We’re in this for the long haul. One suspects they’ll have the ear of at least one powerful person in the incoming administration as it plots its course on healthcare reform-reform. They may need it – lavishly-capitalized though it may be, the company lost $122 million last year, given enrollees that were older and sicker than anticipated (that weak mandate, again), and had to hike premiums and narrow networks in response, even as it expanded into new markets. So far this year, losses “are on track to outpace 2015” as the insurer works to expand beyond the ACA’s individual exchange markets. Oscar is an exemplar of the ACA’s patient-centric, digitally-enabled vision for healthcare’s future. 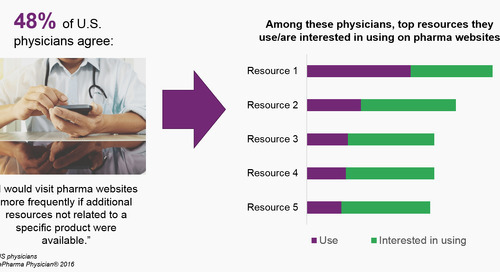 Delivering an improved user experience to healthcare consumers – and in so doing, increased value -- is at the core of their mission. Using technology to engage their target audience (of ideally mostly-healthy young professionals) is baked into their business model. As long as the government is paying for or subsidizing care for tens of millions of Americans, as it would under even the most far-reaching Republican plan, legislators and presidents will face an urgent need to control rising healthcare costs. “Bending the cost curve” was, lest we forget, a major aim of the ACA, which established a number of initiatives meant to incent providers to deliver better care at lower cost. Some of these are probably in jeopardy, like ACOs and the Center for Medicare and Medicaid Innovation (incoming HHS head Tom Price is not a fan). 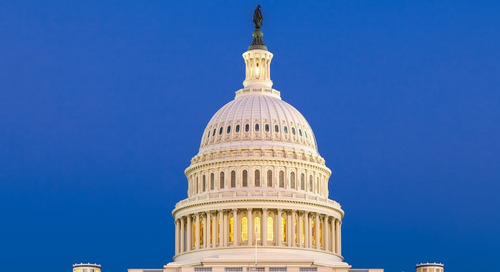 Others, such as Meaningful Use, have been rolled into the just-finalized MACRA (the Medicare Access and CHIP Reauthorization Act), which enjoyed bipartisan support. It’s likely that the law’s Quality Payment Program and Merit-based Incentive Payment System will continue the to drive that shift – which will in turn drive demand for beyond-the-pill or pill-plus product differentiators for pharma brands. Just as importantly, the healthcare industries have embraced this shift and begun investing heavily in building their population health capabilities and weighing pay-for-performance schemes, CMMI or no. The value-driven care train has left the station, whether or not the Trump Administration is on board with it. And while uncertainty over the future of American healthcare policy may have a chilling effect on investment in the short term, the digital health revolution will not cease, any more than the dotcom crash pulled the plug on e-commerce. The new regime may bring a shift in emphasis – from one focused on building out systems of care provision with patients at the center to a more consumer-driven model in which patients have more skin in the game (through HSAs and cheaper, higher-deductible plans for younger consumers, risk pools and higher-premium plans for older consumers, etc.). But the carrots and sticks now embodied in MACRA will continue to prod payers and providers to control costs and improve quality, and the broad shift set in motion by the ACA (and internalized by the healthcare industries) will continue apace. We believe these trends will continue to favor pharma brands that help payers and providers improve care and save money.